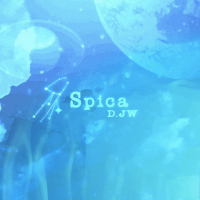 Spica is part of wac's Zodiac series of songs, representing Virgo. Spica sounds quite different on all three difficulties. The beatmania IIDX 7th style Original Soundtrack version of Spica is based on the HYPER chart version of the song, albeit with an extended ending. In the arcade series of REFLEC BEAT, Spica's BASIC, MEDIUM/HARD, and SPECIAL/WHITE HARD charts use Spica's NORMAL, HYPER, and ANOTHER versions of the song, respectively. REFLEC BEAT plus originally only used the NORMAL audio for the BASIC/MEDIUM/HARD charts, likely because the option to use split audio files between the BASIC, MEDIUM, and HARD difficulties was not yet implented. The BEMANI MUSIC FOCUS PACK 08 was originally withdrawn on October 6th, 2017 for this reason. This was eventually fixed in REFLEC BEAT plus version 4.5.7, first available on November 29th, 2017. A live medley of Spica, OVER THE CLOUDS, and Make A Difference was played at the beatmania IIDX secret LIVE ~one night premium party~ on September 13th, 2003. This medley can be found on the BEMANI トップランカー決定戦 2006 prize CD, titled wacのライブ用トラック１。　ハウスっぽいやつ集めたの。. 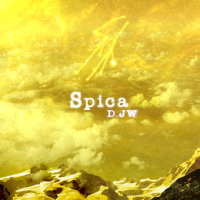 Spica had a unique title card in beatmania IIDX 7th style. This title card was not kept in subsequent releases, or the CS release of beatmania IIDX 7th style. Spica's overlays were removed from the beatmania IIDX arcade games as of beatmania IIDX 20 tricoro due to technical issues. 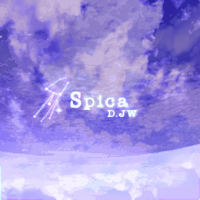 Spica could be unlocked in REFLEC BEAT groovin'!! Upper as part of the 8th Set (PHQUASE's SELECTION) of the BEMANI MUSIC FOCUS unlocking system. It could be unlocked after unlocking the other songs of the 8th Set. Its SPECIAL chart could be unlocked via the BEMANI MUSIC FOCUS event as well after unlocking Spica's BASIC/MEDIUM/HARD charts. From September 17th, 2015 onwards, it could be purchased from the REFLEC Shop for 3800 and 1500 Refle for its BASIC/MEDIUM/HARD and SPECIAL charts, respectively. In REFLEC BEAT VOLZZA, its BASIC/MEDIUM/HARD charts could be purchased in the Garage for 20 VOLZZA KEYs. Its SPECIAL chart could be purchased for 8 VOLZZA KEYs after clearing the song. In REFLEC BEAT VOLZZA 2, it was playable by default. Spica has different jackets for BASIC, MEDIUM/HARD and SPECIAL/WHITE HARD. These jackets are based on the original overlays for Spica in beatmania IIDX..
REFLEC BEAT plus uses only the BASIC jacket as of version 4.5.7. Originally, the 3 jackets were arranged into a 2 by 2 grid formation, with a black space in the bottom right corner, to make a singular jacket. Spica can be unlocked from April 12th, 2016 on beatmania IIDX INFINITAS' Akashic Explore event. After being removed from the initial release of REFLEC BEAT 悠久のリフレシア, Spica was revived on February 23rd, 2017.
beatmania IIDX difficulty rated from 1 to 8 in beatmania IIDX 7th style through 9th style, 1 to 8 in beatmania IIDX 10th style, 1 to 8+ in beatmania IIDX 11 IIDX RED, and 1 to 12 from beatmania IIDX 12 HAPPY SKY and beyond. ※ Prior to beatmania IIDX 15 DJ TROOPERS CS, Spica's BEGINNER notecount was 189. 4th Set (Ryu☆'s SELECTION) GENOM SCREAMS - Presto - JET WORLD - Go Beyond!! This page was last edited on 20 February 2019, at 17:50.